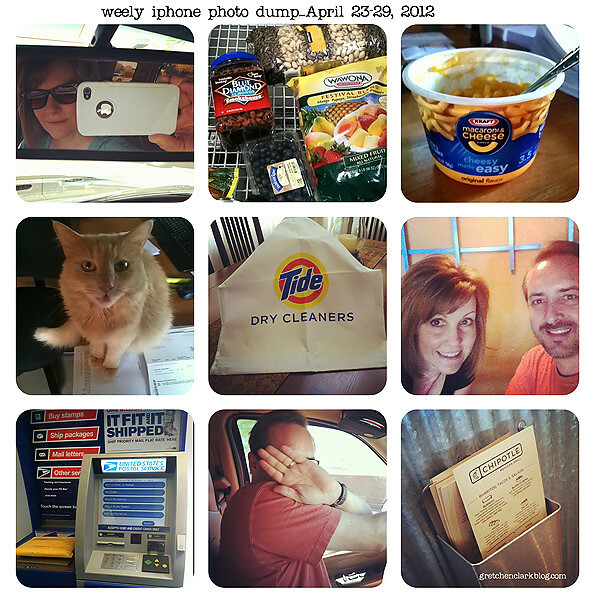 I had a fun week participating in Ali Edward's "a week in the life." I was worried that I would run out of things to take pictures of, but once I got into it, things just seemed to flow!! I will definitely participate again next year!! I have not decided if I will make a separate album for all my photos from my WITL or if I will just incorporate it into my Project Life album. I may post a few of the photos this week, since I did not really have much time to stamp. I was busy wrapping up all the details from my last job, so I can transition to my new job tomorrow. I am looking forward to my first day!! I have been doing healthcare for so long~I think it will be a nice change for me. 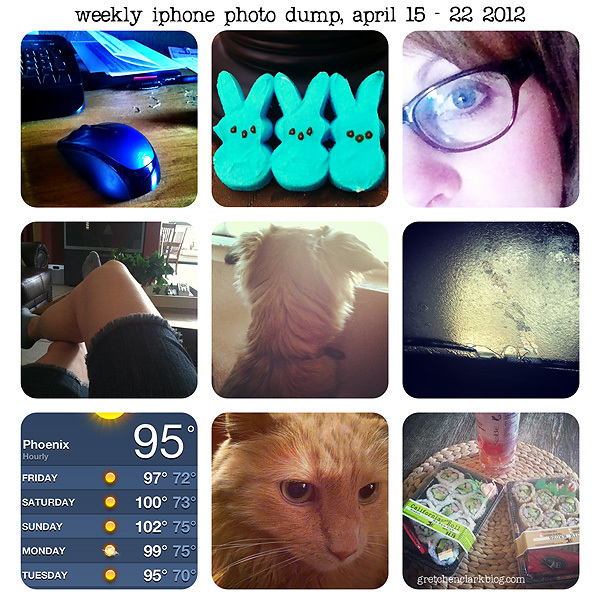 Here is my weekly phone dump (I had LOTS of photos to choose from this week, since I was using my DSLR and my iphone to document my WITL). 1. Running some quick errands: drop off a package for Josh, pick up stamps for work, run to Costco. 4. Pete on top of my work (as usual). I will miss having my crazy pets with me at work!! 5. Decided to drop off all my ironing at the dry cleaners (go me!! ), check out the bag they gave me with my own name inside so I can drop off laundry anytime, at their kiosk~COOL!! 6. Mike and I went out for lunch on Friday to a new place up in the foothills, We have eaten at others in the past, and are excited to have one so close to us!!! 7. Mailed a birthday gift~I love that I don't have to wait in line anymore at the post office, because it never fails, when I go in there, there is always a line and 2 people working, then one decides to go on break!! (vent over). 8. Mike and I went out for lunch AGAIN on Saturday, to our usual spot see #9 (we kinda splurged on eating out this week, LOL!!). Hi all! I hope you are having a terrific Friday! !I have been busy wrapping up stuff for my old office, and getting ready to start my new job on Monday. 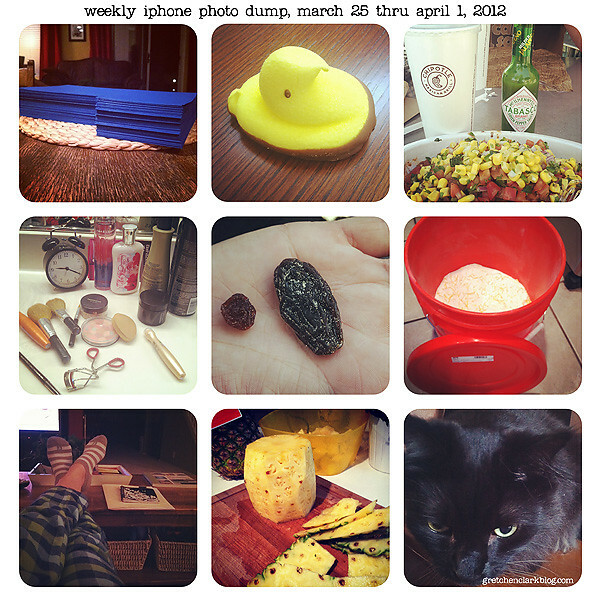 This year I was determined to participate in the Week in The Life!! I have to say that it has been somewhat easy to keep up with the task. However, I sometimes do something and then think "I should have photographed that." 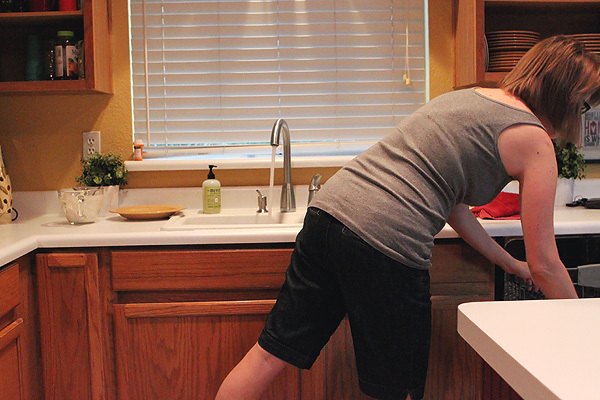 I think it is a great idea to document your ordinary everyday routine. I will be the first to admit, my life is not too exciting, but I LIKE that!! 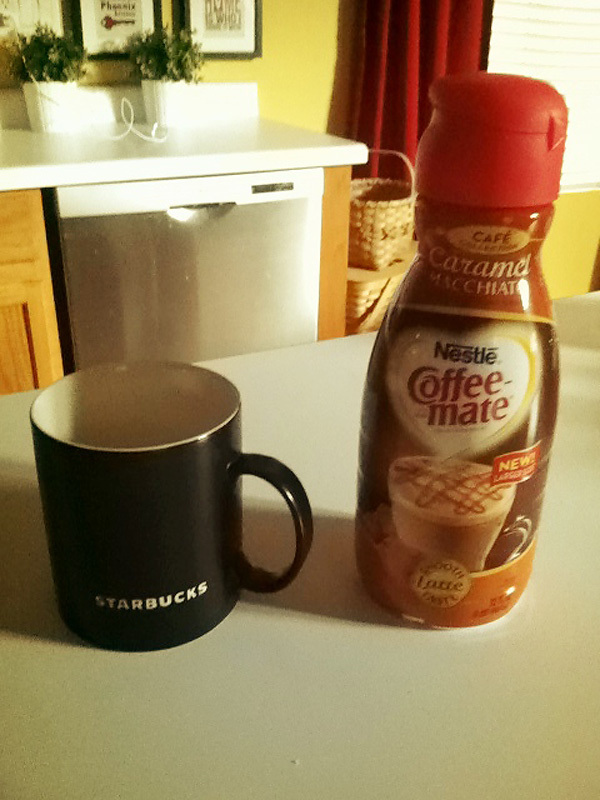 Wake up: 6:45 am, head downstairs for some coffee, I am excited to try the new creamer flavor, caramel Macchiato = YUMMY!! Realized I forgot to take a photo of my bedroom clock and what time I woke up, oh well (hopefully will remember that another day this week)!! 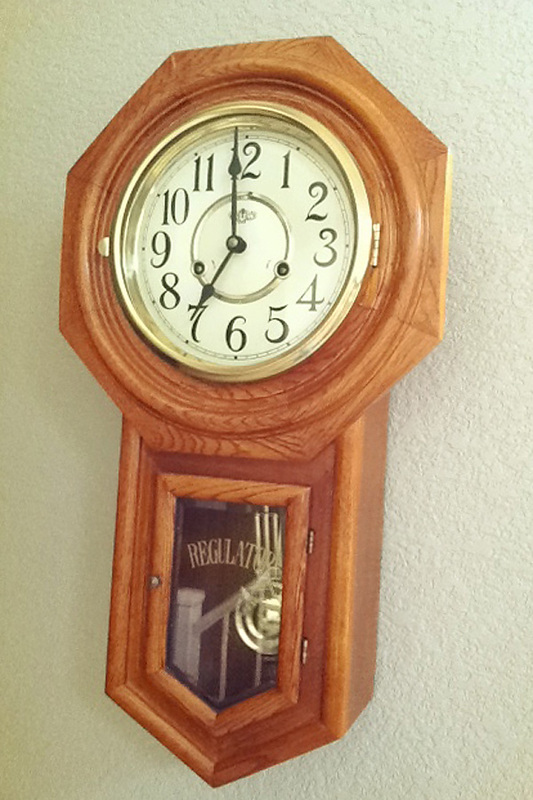 Instead I took a picture of the family room clock. No worries, it all works out!! 7am - Coffee poured and ready to check emails and blogs for 30 min or so. 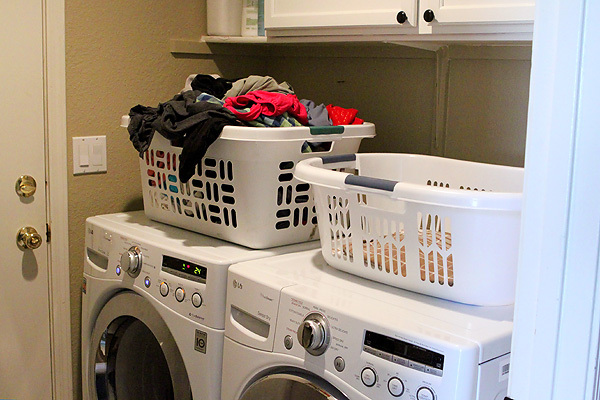 7:45 am - Normally I do my laundry on the weekend, but ran out of time, so threw in a load to get it going. 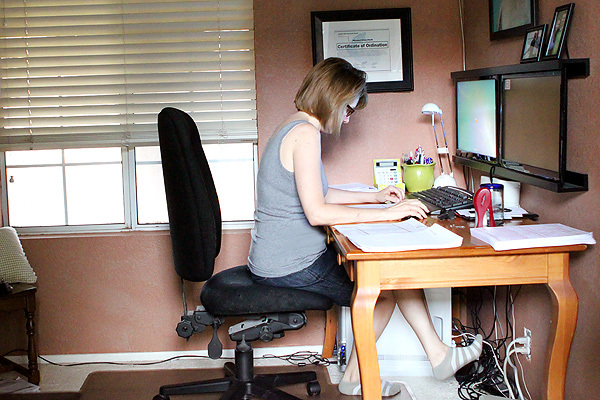 8:45 am - Showered and ready to start my work (working from home this week). Here is Kodi wondering why I am disturbing his one of many naps!! Is it just me, or does he look like he is giving me a dirty look? LOL!! 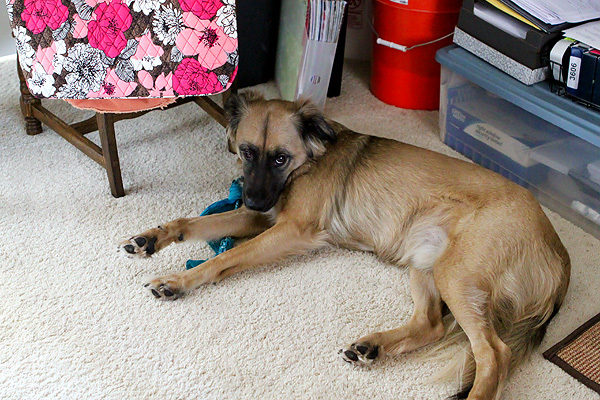 9 am - Stayed in my home office for most of the day. I am transitioning to a new job and this week I had a lot of stuff to wrap up for my old office. 2:30 pm - Doctors appointment, so off I went (nothing serious). 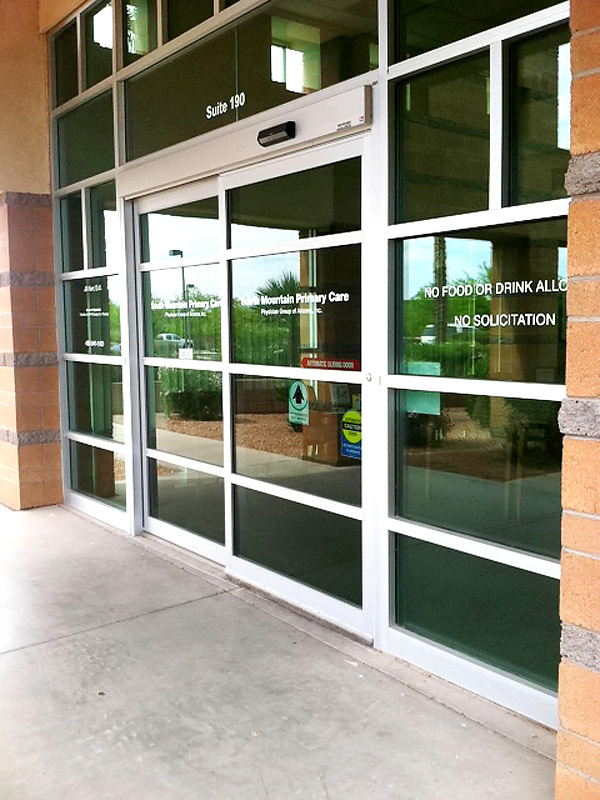 2:45 pm - I didn't have to wait too long before the Physicians Assistant came in to see me (my doctor was on vacation this week). So of course while I was waiting I snapped a picture. After a quick lab, and a lecture that I am not drinking enough water, I was on my way. 3:15 pm - went back into my office to do some more work wrap up. The temp on Monday~it is getting HOT here!! 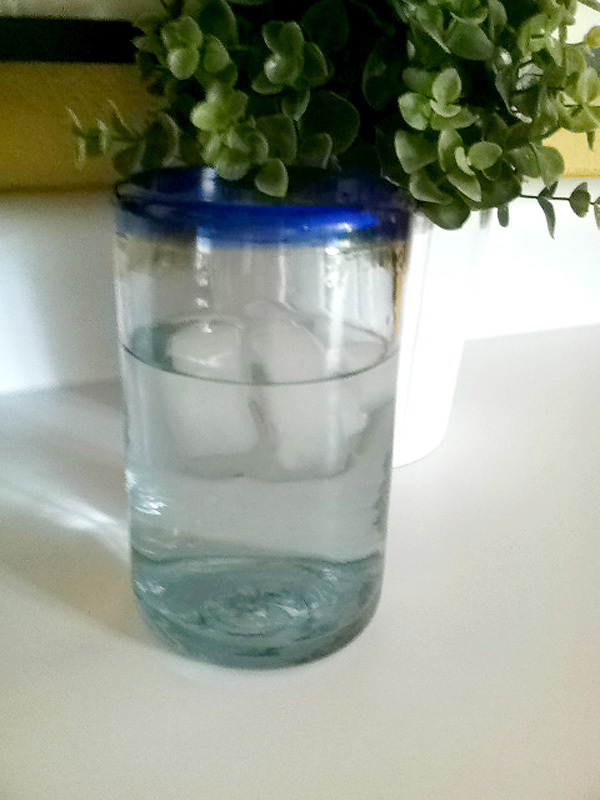 Probably another reason to drink more water!! 6:30 pm - Forgot to photograph dinner, oops! But snapped a few of me cleaning it up. 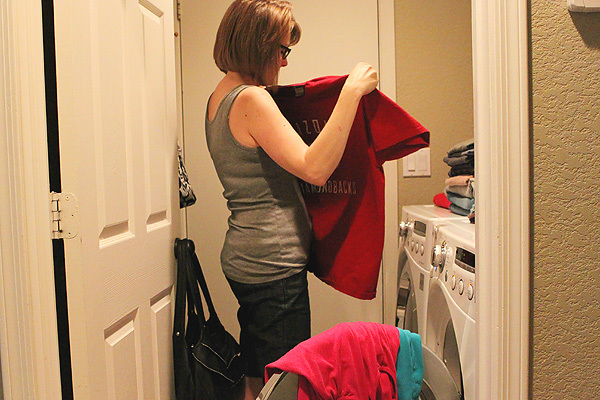 7 pm - Finished up the the laundry from the morning. 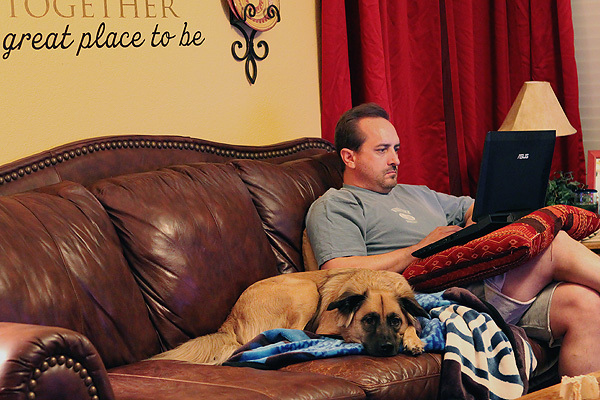 7:30 pm - Mike and Kodi chllin' on the sofa, waiting for me to finish up and join them for some TV watching. 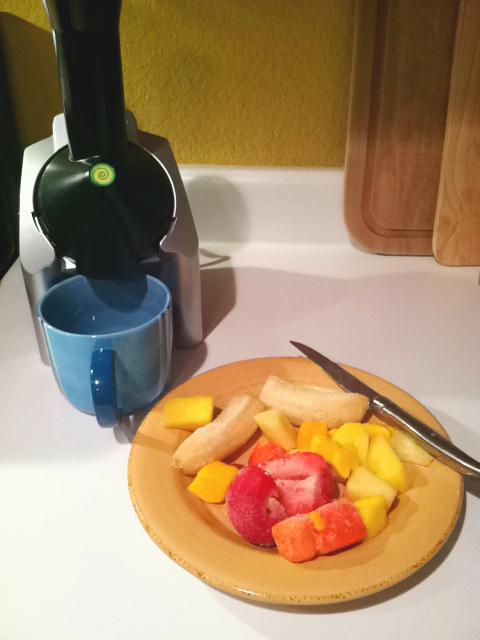 7:45 pm - I whip up some Yonanas for a snack and I join the boys on the sofa. 9:30 pm - Get ready for bed and played Draw Something/read on my ipad. 10:30 pm - Lights out! It was a good day!! Today is going to be a quick post!! 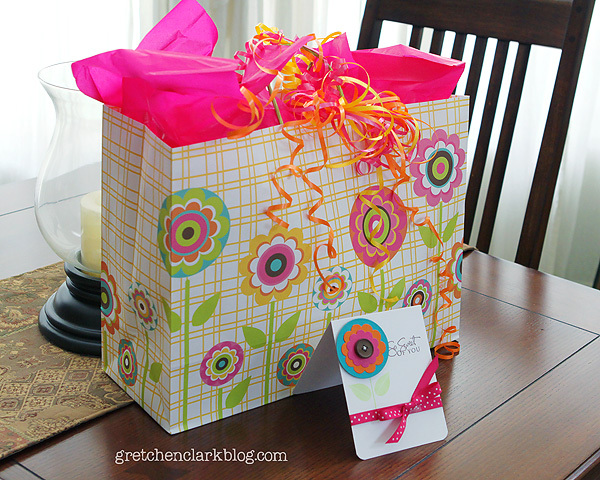 If you didn't know, today is Administrative Professionals Day. Here is the gift that Mike and I put together for Heather, our Church Administrator. She is such a blessing to our family (and the rest of the church)!! I know of many times she has told Mike to GO HOME, which I really appreciate! She has given of her time for quite some time, and when I say given, I mean GIVEN!! She volunteers her time and talent to our church selflessly!! I cannot list the items inside the bag...just in case she reads this post, since this is waiting for her at the church office once she gets out of work today. I hope she enjoys it!! And I don't know what it is about curling ribbon, but my cats LOVE that stuff!! Must contain some kind of kitty crack!! Notice Dewey sneaking in the background trying to be inconspicuous? Yeah, I am onto him!! I hope you had a fantastic weekend!! Mine flew by faster than usual. Saturday Ashley and I went to her BFF bridal shower we had a great time!! I decided to give a gift card to one of the places she was registered at, that way she can get exactly what she wants, and considering she lives in Texas, it is much easier to transport back home. 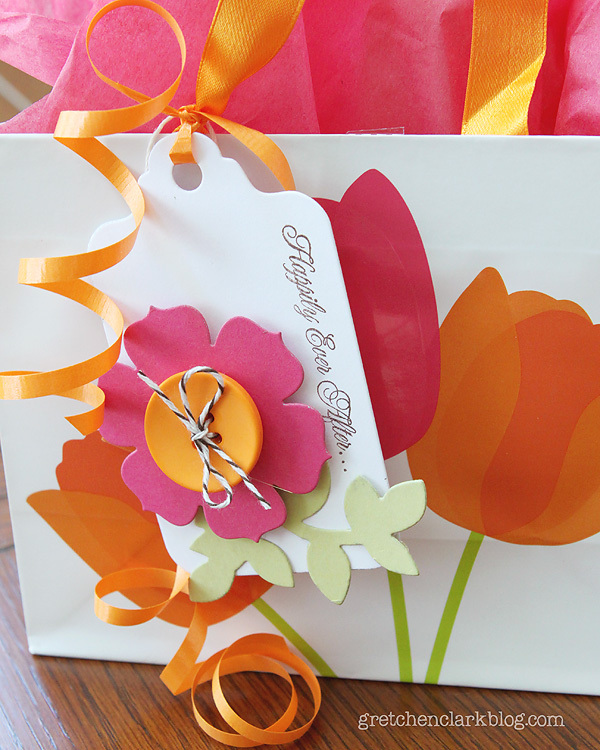 I found this cute little bag at Target to put the gift card in, and whipped up a color coordinated tag for it. Here it is all packaged up and ready to go!! 1. Worked from home on Monday. 2. Finished up the Easter peeps=YUM! 3. Photographing half my face, kinda random!! 4. Sitting on the sofa with my iphone (playing Draw Something!!). 5. Kodi looking out the window, wondering when Josh is coming home. 6. Filled up the gas tank and got my car washed. 7. 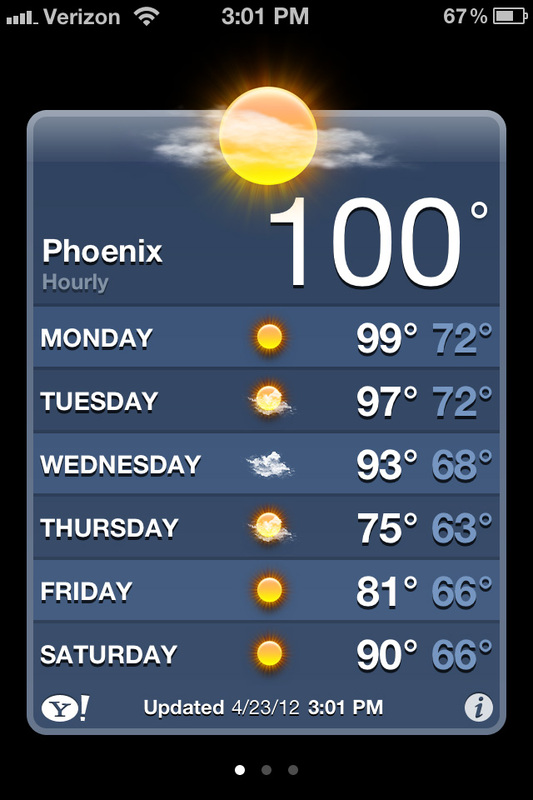 I love Phoenix, even the hot weather, so much better than being cold in my opinion!! 8. Pete in my face as always. 9. Mike and I had a quick lunch on Saturday~California rolls and Sobe Water. Today's post is really late, but better late than never right?? 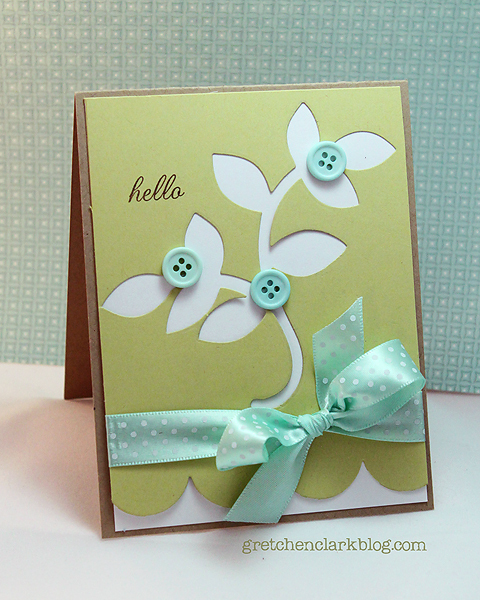 I wanted to use my new stamp set from Ali Edwards, called Hello Routine. 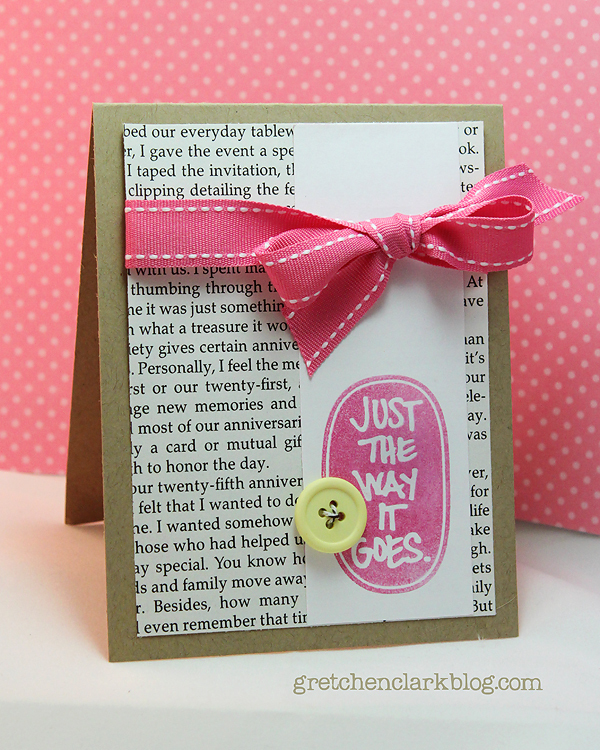 I liked this sentiment, because sometimes all you can do is say "that is just the way it goes" I think it makes a great encouragement card! I also think this stamp set will be awesome to use with my Project Life album (which is still sitting in the box), I am hoping I can get motivated to print off all my photos from 2011. I did the same thing last year, you can read about it HERE. Tomorrow Ashley and I are headed to her high school BFF's bridal shower in Scottsdale!! It should be lots of fun~it is HERE (wondering if we need a designated driver, LOL!!). Happy Middle of the Week Day!! I hope your week is off to a great start!! 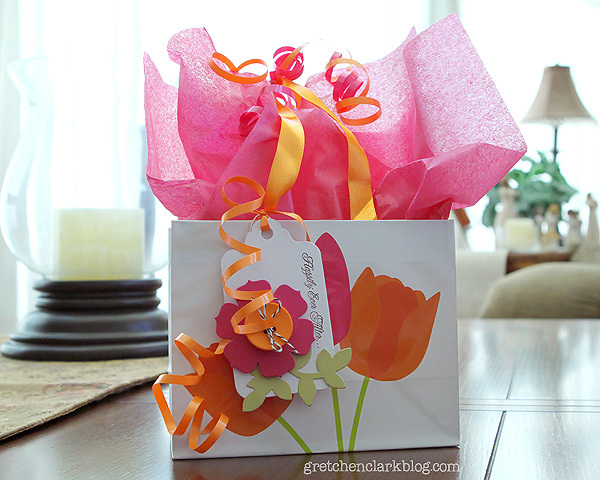 I am so excited to have another post up today~woot!! I think that means that things are getting back to normal around here (whatever normal is!). Is anyone doing Ali Edwards "A week in the Life" 2012? Every year I always talk myself out of participating, and then kick myself after I see all the fun shots everyone else is posting on her blog. 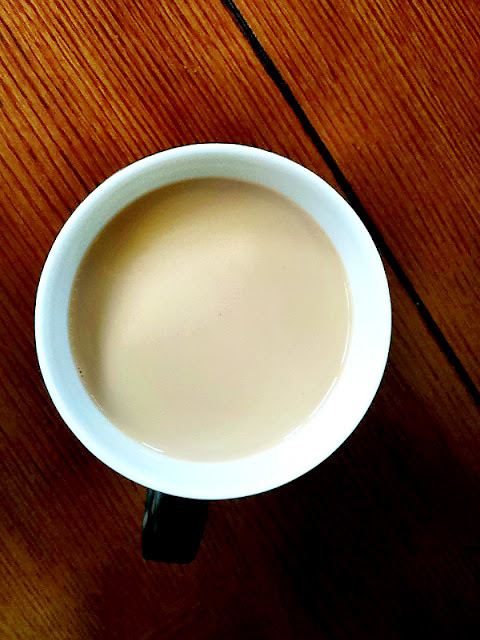 This year I am going to try and give it a shot (last year I did a Day In the Life, you can see that post HERE). 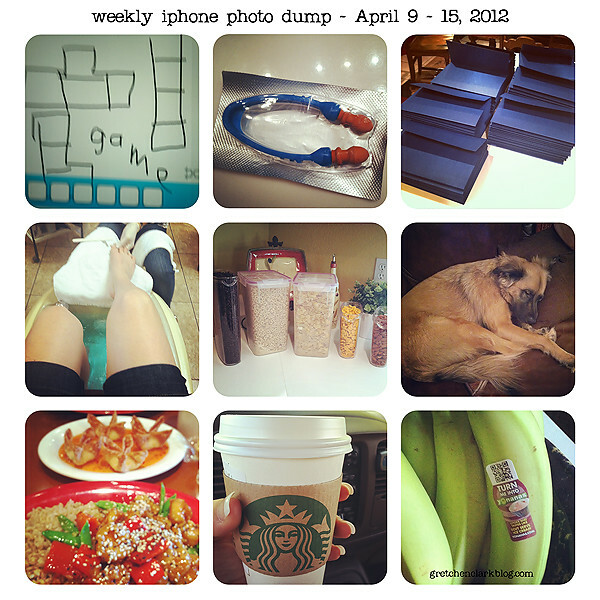 Even if I don't finish the entire week, I think it is a great way to document ordinary, everyday life. 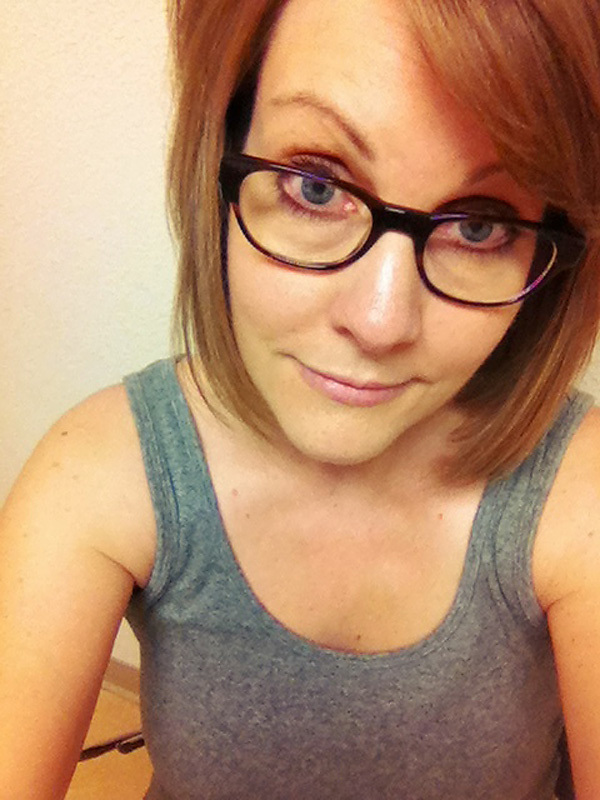 If I get super motivated, I may even post some pic's on the ole blog. 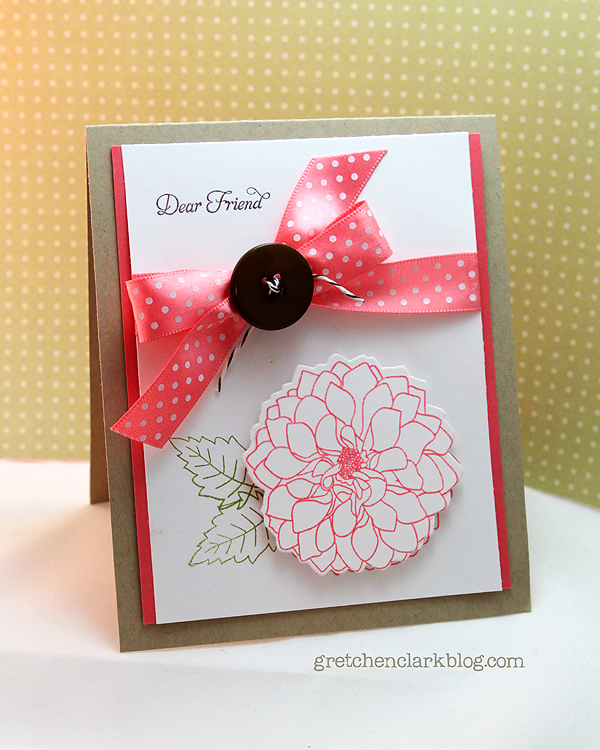 I pulled out my Delightful Dahlia set and whipped up this simple card over the weekend. I really like the giant flower popped up with a pop dot!! And I have just the friend in mind who I am going to send it to!! 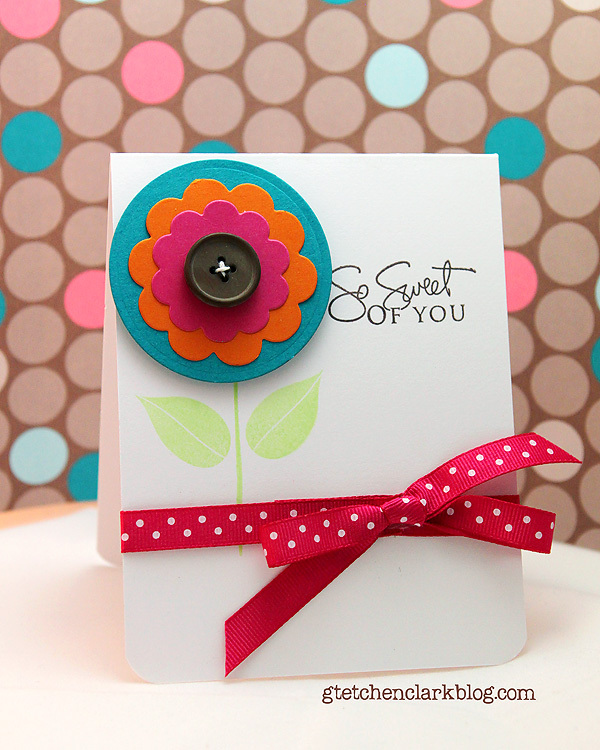 If you frequent Pinterest, then you have probably seen lots of pin's with cards using the punched out part of die cuts. I recently saw one using a die similar to PTI's Turning a New Leaf, that I LOVED. Here is my version. So easy!!! I am alive!! really, I am!! 1. My new favorite game is Draw Something!! Here is a screen shot I sent to Josh asking him for a hint, LOL!!! 2. I bought this contraption to help me get my contacts out with my acrylic nails...I am not really in love with it!! 3. Wedding invites (folded and ready to finish) that I helped make for Ashley's BFF, who is getting married June 1st, they came out really pretty!! 4. Took a pedi break!! 5. Yup, I am OCD, I love going to Costco and stocking up on food, then filling up my clear containers in my pantry. 6. Kodi is not spoiled, LOL!! well maybe a little, he likes to have a pillow to sleep on. 7. Mike and I went to Pei Wei for our Saturday date lunch (since I had gone to Chipolte, our usual spot, the day before with a friend). 8. Fueling up before church this morning. 9. I had to chuckle at the sticker on my bananas~it reads: turn me into Yonanas!! Yes Please!! I LOVE my Yonana's maker!! I use it almost every day. 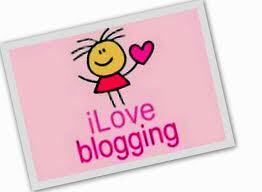 This week I will be back to regularly scheduled blog posts!! See you tomorrow!! I know it has been really quite on the old blog!! I should be back to regular scheduled programming next week!! 1. Finished the base of Lindsay's wedding invitations, I cannot wait to see them all assembled this coming weekend!! 2. My new favorite peeps~chocolate dipped~DELISH!! 3. Mike had to work on Saturday, so we met for lunch on Friday, can you guess where we went?? Chipolte our usual spot. 4. Getting ready to head into the office on Saturday morning~I have been working in the front office all last week (and this week), so I am getting behind on my work. 5. Ashley and I went to Walmart to pick up supplies to make another batch of laundry soap; I picked up a package of trail mix to snack on, check out this GIANT raisin!! I didn't eat it, it was just too weird, LOL!! 6. Laundry soap all mixed up, I feel like Martha Stewart, LOL!! directions and supply list HERE. I really love it, and it is very inexpensive!!! 8.. Pineapples were on sale this week, so I bought 3. I Cut them all up to snack on!! 9. 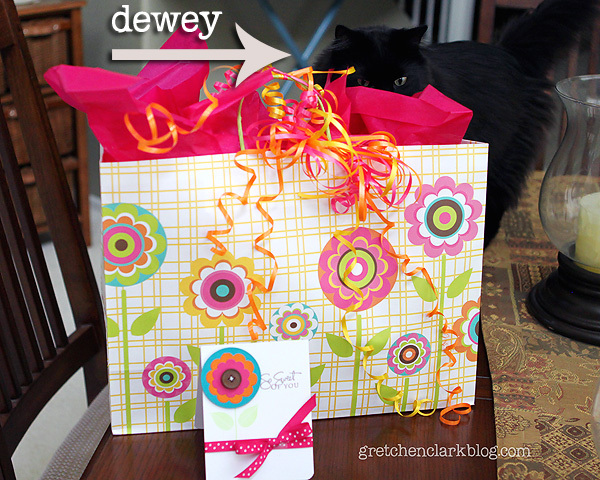 Dewey is such a lovable kitty, but also a pain!! He is always on top of whatever I am working on~crazy DEW! !